May you all find peace, prosperity, health, and happiness in 2018. 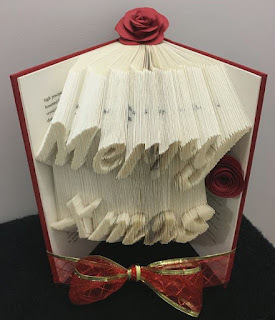 If you have a book you didn't like and time on your hands, you too can produce a holiday decoration. Just fold away. If you’re itching to get in on the cryptocurrency mania and don’t have enough capital to trade in either of the two new futures markets, Clem Chambers’ book is a useful how-to manual. Trading Cryptocurrencies: A Beginner’s Guide (ADVFN Books, 2017) is brief, at only 70 pages of text, but it covers the basics of both trading and mining and explains at least part of the rationale behind these digital currencies. It also issues appropriate caveats all along the way. If you want to mine, don’t expect big bucks using only your PC—and you can’t even play if you have a Mac. At the moment “you can make pennies [a day] mining with your PC, dollars with a gaming computer, $30 upwards with a mining rig and $50+ with the right ASIC miner. The costs are from nothing to a lot, say $10,000 for a single ASIC device.” And, of course, the cost of electricity to run these hot, noisy devices. The fancier the graphics card (think top-of-the-line NVDA and AMD) the more money you can bring in. But the potential for making money as a miner is ever in flux, as with practically everything cryptocurrency-related. I personally don’t like trading what appears to be a bubble, so this book isn’t for me. But, if I’m wrong and cryptocurrencies are just in their infancy, traders who want to get on the bandwagon should do their homework. Chambers has made that task a lot easier. Michael W. Sonnenfeldt is the founder and chairman of Tiger 21, a peer-to-peer learning network for highly successful entrepreneurs. The 40 groups in 35 cities in the U.S. and Canada and a new group in London get together once a month to talk about their businesses, share investment advice, and offer one another support. Drawing on the knowledge he gained over the 19 years of Tiger 21’s existence, Sonnenfeldt, with extensive help from reporter and writer Ed Tivnan, has produced Think Bigger and 39 Other Winning Strategies from Successful Entrepreneurs (Bloomberg/Wiley, 2017). Where this book shines is in its accounts of entrepreneurial struggles and successes. It often gets beneath business truisms and feel-good stories to go into the trenches, where entrepreneurs file lawsuits, struggle to remove a demented father from executive control, and are burned by sketchy partners. The book also includes more examples of women entrepreneurs than most business books. Think Bigger is a quick, easy read. It’s a good complement to the “everyone can get rich” books (as Sonnenfeldt clearly demonstrates, they can’t) and to one-size-fits-all manuals on how to start and grow a business. Harriman’s Stock Market Almanac 2018, compiled by Stephen Eckett, is now in its eleventh edition. And it comes complete with a new and improved format. Gone is the weekly diary that formerly took up a large part of the book and made it look like something of a clone of Hirsch’s Stock Trader’s Almanac. (A minimalist version of the diary is now available online.) In its place is an expanded explication of seasonal market strategies and analysis. The almanac, which focuses on the UK market, is divided into four parts—calendar, strategies, analysis, and reference. The calendar section gives a two-page summary of the main features of each month’s historical performance and anomalies associated with the month. The strategies section “describes the major anomalies and seasonality effects in the UK market and how they can be exploited.” These include the bounceback portfolio, construction sector 4M strategy, sell in May and sell in May sector strategies, summer share portfolio, sell Rosh Hashanah buy Yom Kippur, Santa rally, day of the week strategy, Tuesday reverses Monday, turn of the month strategy, FTSE 100/250 monthly switching strategy, FTSE 100/S&P 500 monthly switching strategy (investing in the FTSE 100 in April, July, and December, and in the S&P 500 for the rest of the year is a winner), monthly seasonality of oil, monthly share momentum, quarterly sector strategy, quarterly sector momentum strategy, the low-high price portfolio, and the world’s simplest trading system. The analysis section looks at market indices, sectors, companies, long term patterns, and interest rate considerations. For instance, under the heading of market indices Eckett discusses such topics as intra-day volatility, first and last trading days of the month, and the Chinese calendar and the S&P 500. As for the last item, the best performing market animals since 1950 have been the goat and the dog. The Chinese year starting February 16, 2018 is the year of the dog, in which the S&P 500 has had an average return of 16.8%. Under the long-term heading he analyzes the correlation between UK and US markets, the ultimate death cross (when the 50-month moving average moves down through the 200-month moving average), and gold. All in all, this almanac is a treasure trove of seasonal strategies that can be tested out on, and probably tweaked for, any market. Harriman’s New Book of Investing Rules: The Do’s & Don’ts of the World’s Best Investors, edited by Christopher Parker, contains over 500 pages of wisdom from 64 noted American and British investors. It’s a smorgasbord of ideas from which the reader can pick and choose. Don’t like Brussel sprouts? Here, have some cheesecake. But, said in a cautionary whisper, you’d be better off with the Brussel sprouts. I hate to think how many years of successful investing experience are encapsulated in this volume. Probably somewhere in the neighborhood of 2,000. There aren’t too many resources that can claim this much collective experience. Herewith a tiny sampling of some of the rules, minus the often much more insightful explanation that follows each of them. Diversify, but not to mediocrity. Concentrate, but not too much. Hedge when the market’s expensive and falling. Unless you are a genius use a system. Don’t rely too heavily on models. Price is the paramount trading signal. Question the persistency of anomalies. Understand your edge and why it is sustainable. Review past stupidities, but don’t let them make you timid. Only bet on one variable at a time. It’s important that your process does not work in every market environment. Don’t chop and change too much. Be patient—fortune sometimes take a while to favor the bold. Time, not timing, is the key to investment success. The best time to invest, therefore, is now. Always remember that investing is hard. Bowing to reader demand, I'm sharing my personal, idiosyncratic choices for the best books of 2017, with links to my reviews. Michael W. Covel, Trend Following, 5th ed. Paolo Brandimarte’s An Introduction to Financial Markets: A Quantitative Approach (Wiley, 2018) is an imposing 750-page book. It is meant as a textbook for students who want a thorough grounding in the mathematics and statistics of finance. It arose out of courses the author offered at Politecnico di Torino, where he is a professor in the department of mathematical sciences, to graduate students in mathematical engineering. Like most textbooks, at the each of each chapter it has a set of problems (the answers to which can be found on the book’s website) and a bibliography. After an overview of markets and an outline of basic problems in quantitative finance, the author analyzes fixed-income assets, equity portfolios, derivatives, and advanced optimization models. Devoting nearly 150 pages to optimization models may seem a bit eccentric, but Brandimarte is particularly interested in this topic and has done extensive research on it. For instance, in 1995 he co-authored a book titled Optimization Models and Concepts in Production Management. And in 2013 he co-authored a book on distribution logistics, which is essentially an optimization problem. Zeroing in on the third part of the book, on equity portfolios, we find four chapters that deal with (1) decision-making under uncertainty: the static case, (2) mean-variance efficient portfolios, (3) factor models, and (4) equilibrium models: CAPM and APT. Here I’ll look very briefly, and somewhat telegraphically, at the first problem—decision-making under uncertainty—to give some sense of the book’s approach. Brandimarte distinguishes between a static decision model and a multistage decision model. In a static model, we assume that we are not “adjusting our decisions along the way, when we observe the actual unfolding of uncertain risk factors.” In a multistage model, we can update our decisions, “depending on the incoming information flow over time.” He is simplifying his discussion by considering only the static case. Collective intelligence requires a diversity of elements and capabilities: a live model of the world, observation, focus, memory, empathy, motor coordination, creativity, judgment, and wisdom. It is supported by infrastructures, such as networks. A general theory of collective intelligence also needs to address the dimensionality of choices—not only the number of variables involved but “cognitive dimensionality (how many different ways of thinking, disciplines, or models are necessary to understand the choice), its social dimensionality (how many people or organizations have some power or influence over the decision, and how much are they in conflict with each other), and its temporal dimensionality (how long are the feedback loops).” And this is just the beginning. The lists and requirements keep multiplying. Collective intelligence is complicated. Mulgan analyzes how collective intelligence (though, in practice, all too often collective stupidity) functions in everyday life—in meetings, in cities and governments, in economies and firms, in universities. The subtitle of Bill Martin’s The Smart Financial Advisor (Harriman House, 2017) says it all: How Financial Advisors Can Thrive by Embracing Fintech and Goals-Based Investing. Martin, the chief investment officer at INTRUST Bank, beats the drum for goal-based investing since it has so many benefits, for both advisors and clients. For instance, it enables advisors to manage more of their clients’ wealth, it better matches assets and liabilities, it determines the optimal asset allocation, it minimizes taxes, and it increases an advisor’s value. He also advocates using fintech within a goals-based investing framework to efficiently manage, monitor, and report goal progress. Most investors fall victim to a bevy of investing hazards. They react to external factors, fail to plan, quarantine their portfolios, mismanage risks, rely on alluring stories, ignore taxes, and focus on past performance. Advisors can address these hazards by adopting goals-based investing, identifying and prioritizing client goals, managing client wealth holistically, assessing risk comprehensively, determining the optimal mix of assets and constructing portfolios intelligently, utilizing tax-smart investment strategies, and tracking goal progress. Goals-based investing is gaining traction among advisors and “finally appears positioned to become the new industry norm in managing wealth.” Historically, from the 1900s to the 1960s investors held concentrated stock portfolios and evaluated their stocks independently. From the 1960s to the 1980s Markowitz’s theory of portfolio selection became the guiding model, then from the 1980s through the 1990s strategic asset allocation took over. Employing Markowitz's model added value to investors' portfolios; strategic asset allocation added more value. Today, in part as a result of the findings of behavioral finance, goals-based investing is beginning to take center stage, and it is adding yet more value. Martin explains the ins and outs of goals-based investing, step by step, element by element. Although he is writing for financial advisors, I consider his book a must-read for the DIY investor as well. 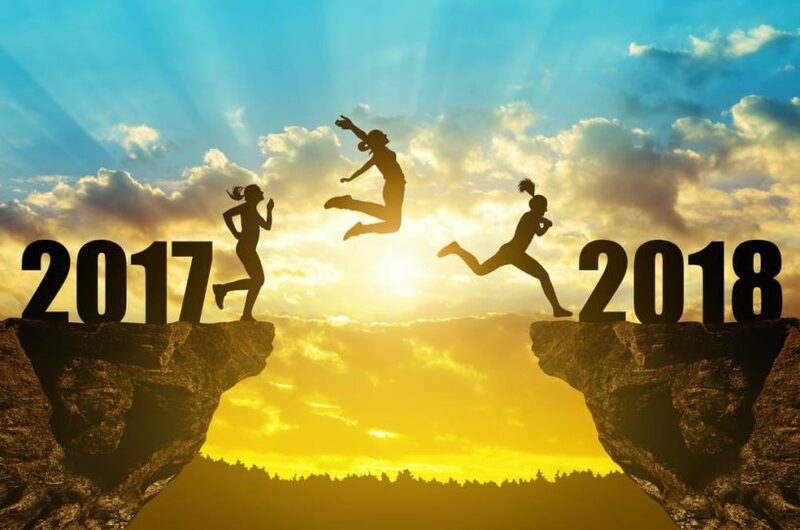 Admittedly, it’s a lot harder for the individual investor to stay on track without the assistance of an advisor, but it’s virtually impossible without a viable, forward-looking plan. If you’re acting as your own advisor, you couldn’t ask for a clearer, more useful book than The Smart Financial Advisor. Jake Bernstein’s Secrecy World: Inside the Panama Papers Investigation of Illicit Money Networks and the Global Elite (Henry Holt, 2017) is both riveting and dispiriting. Bernstein, a Pulitzer Prize-winning journalist, knows whereof he writes because he was a senior reporter on the International Consortium of Investigative Journalists team that broke the Panama Papers story. Data siphoned off from the law firm of Mossack Fonseca in Panama “afforded an unprecedented look into the operations of an underground economy through which trillions of dollars flow annually. This river of cash exists in a largely unregulated place known as the secrecy world. It’s an alternate reality available only to those who can afford the trip. In the secrecy world, wealth is largely untouchable by government tax authorities and hidden from the view of criminal investigators. Through the secrecy world, family dynasties are nurtured, their fortunes—often acquired illicitly—laundered and passed on to heirs. It’s a place where capital always triumphs over labor and the well-to-do are free to ignore the laws that govern their fellow citizens.” That’s dispiriting. But Bernstein’s account of who hid money and how they did it is fascinating. From Vladimir Putin, whose name of course never appeared in the files, only the names of his oldest and most loyal friends, to Donald Trump’s partners and customers, to brashly overconfident Icelanders—people created thousands of shell companies with Mossfon. Some were trying to keep their wealth secret from their spouses, others trying to avoid the tax man, still others were buying and selling art, often to move it to freeports. Secrecy World is a must-read book for anyone with an interest in, and perhaps a sense of outrage over, how the rich protect their wealth. And, I should note, it’s not just through secret offshore accounts. Delaware and Nevada allow incorporations with virtually no due diligence. Glen Arnold, a former academic (professor of investment and professor of corporate finance) turned more or less fulltime investor as well as a prolific author of books on finance, is an unabashed fan of Warren Buffett. He is a Berkshire Hathaway shareholder and regularly travels from England to Omaha for the Berkshire annual meetings. Arnold set out to discover why Buffett chose the companies he invested in and what lessons individual investors can learn from Buffett’s decisions. Volume 1 of The Deals of Warren Buffett (Harriman House, 2017) covers the period leading to Buffett’s first $100 million in net worth, which he reached in 1978 at the age of 48. Contrary to myth, Buffett didn’t always have a Midas touch. Apart from his most notable failure, Berkshire Hathaway the textile company, he lost money when he was in his early 20s on Cleveland Worsted Mills and an Omaha gas station he bought together with a friend. But many of his investments were staggeringly successful, certainly dwarfing the $2,000 he lost on the gas station. Arnold goes through Buffett’s early investments one by one, from lesser known companies such as Rockwood & Co., Sanborn Maps, Dempster Mill, Hochschild-Kohn, and Associated Cotton Shops to such Berkshire staples as American Express, Disney, See’s Candies, and the Washington Post. Throughout, Arnold stresses Buffett’s investing principles, exemplified in each of these deals, that can withstand the test of time. Among them: Grand principles are more important than a grand plan. Market moods can be incomprehensible to value investors, but stick with sound investing principles in good times and bad. And, re managers, good jockeys will do well on good horses, but not on broken-down nags. And so, in general it’s important to avoid businesses with problems. Buffett followers will welcome this addition to the already huge Buffett bibliography. Arnold’s book will be even more illuminating to investors who are in search of an overarching rationale for their investing decisions. Why not learn from the best? Many of the principles articulated in Freek Vermeulen’s excellent book Breaking Bad Habits: Defy Industry Norms and Reinvigorate Your Business (Harvard Business Review Press, 2017) can easily be extended beyond the confines of business organizations. So even if you aren’t a business executive (but of course especially if you are), you can profit from the book’s antidotes to bad practices. Bad practices thrive on inertia. To overcome this inertia and reinvigorate the organization one should implement “complementary processes that foster ongoing creation and renewal.” For instance, embrace change for change’s sake, make your life difficult, balance exploration with exploitation, be varied and selective. Here I’ll skip over the first recommendation, which, when “Change for Change’s Sake” appeared in HBR in 2010, prompted a spate of hate mail and emails where Vermeulen was addressed as “You Idiot.” To do justice to the nuanced concept would require too much space. The third recommendation, balance exploration with exploitation, means that a business should try new things but at the same time focus on profiting from existing competitive advantages. And, the last recommendation: be varied and selective. Essentially this calls for letting a thousand flowers bloom but allowing 999 of them to die. Ten Great Ideas about Chance by Persi Diaconis and Brian Skyrms (Princeton University Press, 2018) grew out of a course that the authors team-taught at Stanford, which had as a prerequisite one undergraduate course in probability or statistics. It is, as the authors describe it, “a history book, a probability book, and a philosophy book.” In writing about the ten great ideas—measurement, judgment, psychology, frequency, mathematics, inverse inference, unification, algorithmic randomness, physical chance, and induction—they proceed more or less chronologically within each topic, starting with Cardano and Galileo and the notion that chance can be measured. The second idea, that judgments can be measured and that coherent judgments are probabilities, is the one most obviously relevant to finance. Here, as clearly seen in prediction markets, “the probability of A is just the expected value of a wager that pays off 1 if A and 0 if not. If you pay a price equal to P(a) for such a wager, you believe that you have traded equals for equals. For a lesser price you would prefer to buy the wager; for a greater price you would prefer not to buy it. So the balance point, where you are indifferent between buying the wager or not, measures your judgmental probability for A.” In this idealized model “an individual acts like a bookie—or perhaps like a derivatives trader—and buys and sells bets. … She buys fair or favorable bets and sells fair or disadvantageous bets, doing business with all comers. A Dutch book can be made against her if there is some finite set of transactions acceptable to her such that she suffers a net loss in every possible situation. We will say that she is coherent if she is not susceptible to a Dutch book.” Over time, given a change in evidence, she will revise her probabilities using the “unique coherent rule,” Bayesian updating. “Any other rule leaves one open to a Dutch book against the rule—a Dutch book across time, a diachronic Dutch book.” Market makers, beware the diachronic Dutch book! Ten Great Ideas about Chance takes intrinsically difficult notions that great minds struggled with over the centuries (I personally would put induction at the top of the list) and makes them accessible to anyone with a basic grasp of probability. R. Stafford Johnson’s Derivatives Markets and Analysis (Bloomberg/Wiley, 2017) is part of the Bloomberg Financial Series. As such, the Bloomberg terminal, and how to use it, plays a central role in the text. The book is a wonderful resource, however, even for the financial professional or student without access to a Bloomberg terminal. Johnson, a professor of finance at Xavier University, has put together more than 750 pages of information about and case studies involving futures and forwards, options, and financial swaps. He includes problems and questions, along with Bloomberg exercises. Although Johnson starts with the basics, quickly enough he takes the reader into the complexities of hedging. For instance, in the case of options, in one chapter he explains the standard strategies and some defensive follow-up strategies. In the next chapter he discusses ways to hedge stock portfolio positions—by creating a floor or a cap for a stock portfolio using index options and by using range forward contracts. He also discusses hedging currency, commodity, and fixed-income positions with options. The book has a section on option pricing, with chapters on option boundary conditions and fundamental price relations, the binomial pricing model, the Black-Scholes pricing model, pricing non-stock options and futures options, and pricing bond and interest rate options. Johnson’s book is not for the average retail investor. But, with its mix of theory and practice, it is exceedingly useful both as a textbook and as a reference book. The Stock Trader’s Almanac is now in its fifty-first edition. It remains a must for traders who use seasonal factors to time the market. The spiral bound, navy-covered almanac opens flat for easy access to its data or for jotting down notes. The format remains essentially the same as in previous years, with a calendar section, a directory of trading patterns and databank, and a strategy planning and record keeping section. The calendar section has on facing pages historical data on market performance (verso) and a week’s worth of calendar entries (recto). January’s verso pages, for example, give the month’s vital statistics, January’s first five days as an early warning system, the January barometer (which has had only nine significant errors in 67 years, including 2009, 2010, 2014, and 2016, so it may be losing some of its predictive power), and the January barometer in graphic form since 1950. Each trading day’s entry on the recto pages includes the probability, based on a 21-year lookback period, that the Dow, S&P, and Nasdaq will rise. Particularly favorable days (based on the performance of the S&P) are flagged with a bull icon; particularly unfavorable trading days get a bear icon. A witch icon appears on monthly option expiration days. At the bottom of each entry is an apt quotation. There’s about a five-square-inch space in which to write. The first trading day of the month is uncommonly strong (save in 2014). Beginning in 1997, the Dow gained a total of 6352 points in 238 first days, for an average daily point gain of 26.69. The other 4733 days gained 7232 points, only 1.53 on average. Policymakers were deluded by the efficient markets hypothesis into thinking that financial markets were largely self-regulating. And they were overconfident in the effectiveness of monetary policy. For instance, after the 1980s, when the U.S. experienced a noticeable decrease in the volatility of output (the “great moderation”), conventional wisdom attributed most of this moderation to better monetary policy. And after the technology bubble popped in 2001, the Federal Reserve “ascribed the limited impact on the US economy to its swift monetary response.” So why, if there was a major downturn in house prices, wouldn’t the Fed be able to do the same thing again? Bayoumi extends his analysis by offering a history of the international monetary system in five crises: the collapse of the Bretton Woods fixed exchange rate system, the Latin American debt crisis, the European exchange rate mechanism crisis, the Asian crisis, and the North Atlantic crisis (which in many respects was “an amalgam of these earlier experiences”). For many years Simon Watkins was a senior Forex trader, eventually becoming director of Forex at the Bank of Montreal and head of Forex institutional sales for Credit Lyonnais. His extensive Forex experience informs his markets overview in The Complete Guide to Successful Financial Markets Trading (ADVFN Books, 2017). Watkins takes the reader through foreign exchange, equities, commodities, and bond trading. He then turns to technical analysis, risk/reward management and hedging, risk-on/risk-off and other correlations, and key risks on the horizon. All this in about 265 pages, including many illustrative charts. The book’s strength is its top-down and markets correlation analysis. By taking a macro perspective for the most part, it complements most books on trading. And it does this surprisingly well. The author doesn’t offer an in-depth study of any of the many topics he addresses, but he points to vital connections among them. This is something that most traders and investors ignore, often to their detriment.